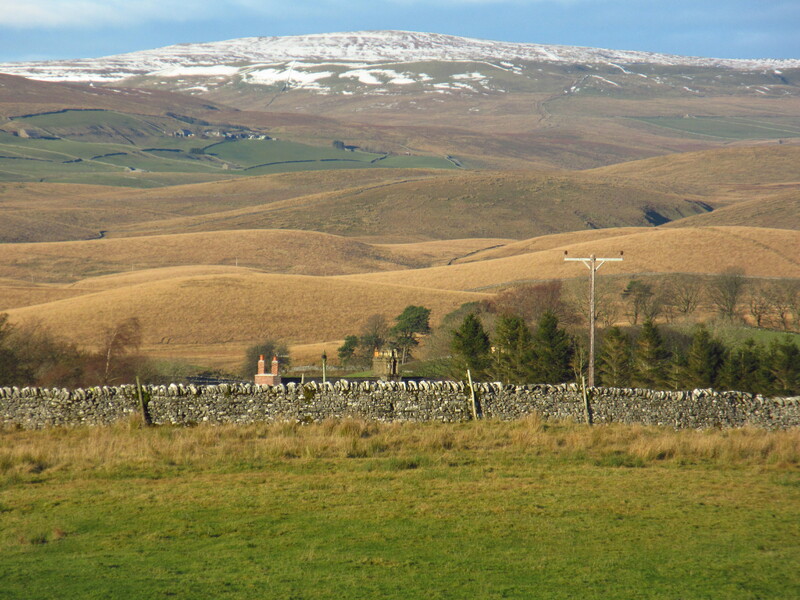 Travelling along Ribblesdale from Settle to Ribblehead – and just after the hamlet of Selside – even the most casual observer cannot fail to notice a remarkable series of oddities in the otherwise drab landscape to the right of the main road. The topography is a series of small, half egg-shaped hills known as drumlins, from the Irish ‘droimnin’ or ‘littlest ridge.’ These hills are indicative of slower ice flow in wide, open valleys, but their actual formation has been the subject of debate for decades. Nobody can really give a satisfactory explanation for why drumlins occur as they do, and perhaps this adds to their sense of romance and mystery. Examining in detail the famous drumlin field below Cam Fell, to the south of Ribblehead, it becomes clear that this seemingly chaotic ‘basket of eggs topography’ does in fact have some sense of order to it. 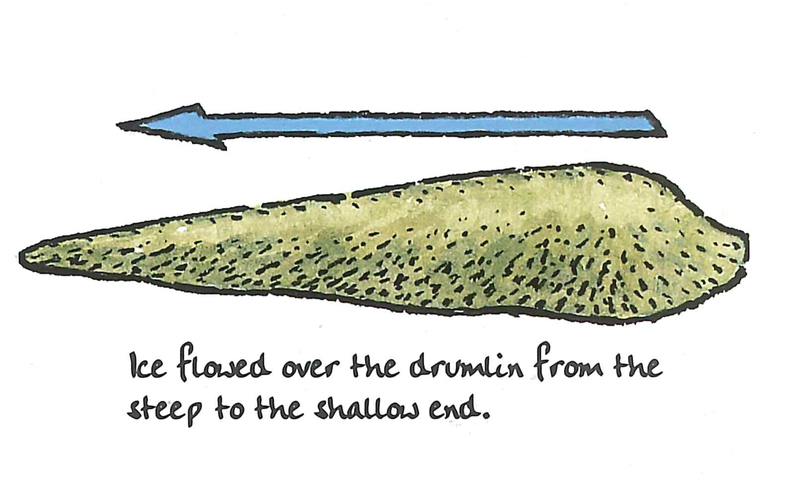 Each drumlin, for example, has a blunt or steeper end pointing ‘upstream’ with regard to the ice flow, while the opposite side is a shallower, often tapered slope. This classic asymmetric pattern, and the fact that all the hills appear to point in the same direction (their long axis pointing along the route of the former ice flow) is characteristic of a typical drumlin field. 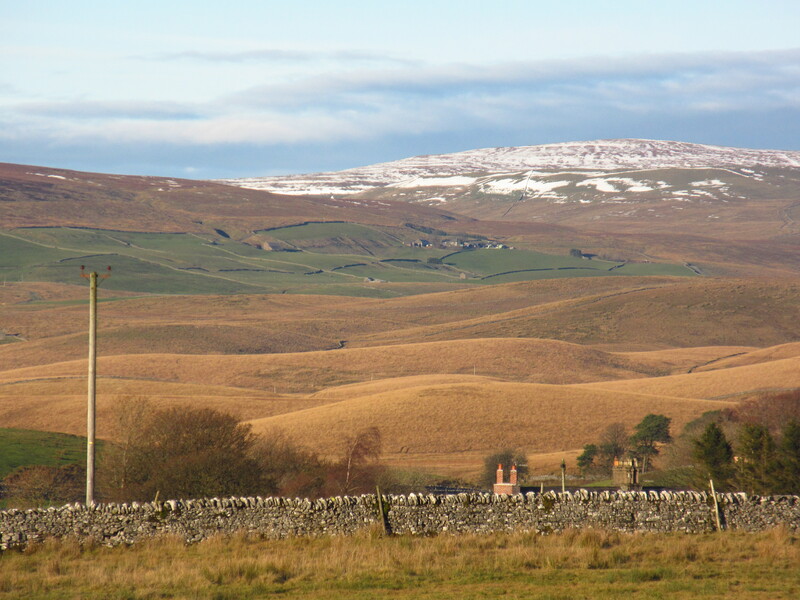 Another fine example, though outside the Ingleborough area, lies around Hellifield, where ice flow along Wharfedale and Malhamdale spread out slowly into the Craven Lowlands. 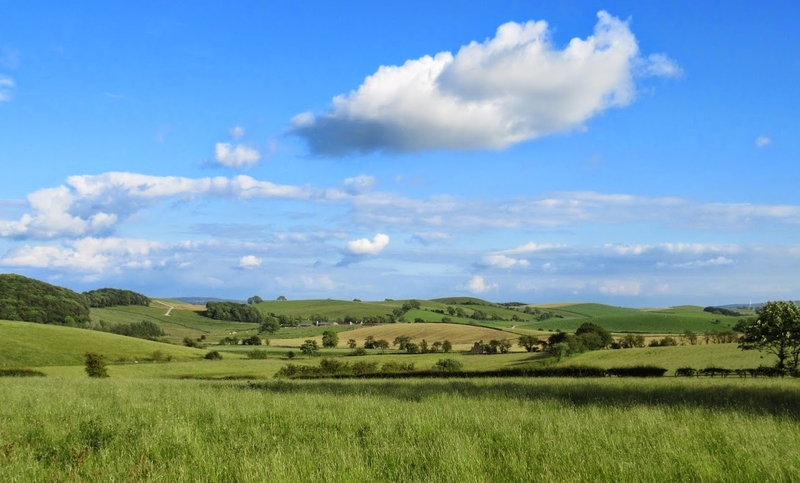 So how did these great drumlin fields come to be – and why the distinctive regimentation? The best guess is that ground moraine – debris carried by an overloaded glacier – was dumped and then ridden over and smoothed into shape by the same ice still moving behind it. Maybe the core of the drumlin was harder frozen material and the outer edges were more malleable – so the ice then dragged out the ‘downstream’ end into a long tail, as can be seen on many drumlins. Other theories have considered these little hills to have formed under cavities in very slow moving ice. Whatever their origin, drumlins are a fascinating and dramatic presence in the Dales landscape, and will no doubt continue to puzzle geologists for many years to come.